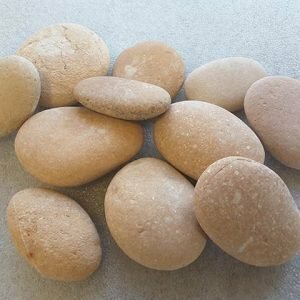 Thasos White Pebbles 30-40mm, are one of our most popular memorial pebbles used for graves, rock gardens, kerb sets and related applications. Produced from fine quality white marble that is quarried in Greece, the pebbles are pure white in hue. 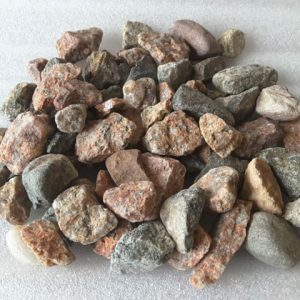 Compared to many of our other memorial products, these genuine stone pebbles have a very low luster with just a faint shimmering quality, making their colour very prominent and striking. Perfectly rounded by nature, this pure white pebble is also available in 10-20mm. White has long been associated with memorials, as the colour has many positive connotations. Throughout history, the colour has been associated with goodness, purity, innocence and light and has been used for funerary cloths and flowers for generations as a result. With the Moldovan White Pebbles, you can incorporate this traditional hue into your memorial garden as a touching tribute to a departed loved one. You can use Thasos White Pebble in projects in a seemingly endless number of ways. 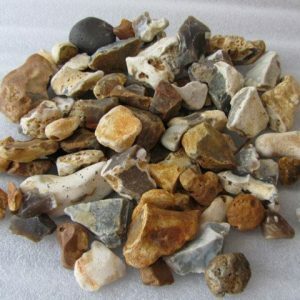 The low lustre and white colour of the stones make them incredibly striking when mixed with our Black Glass Pebbles or our Black Pearl Pebbles. 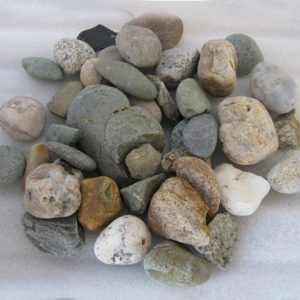 They will also coordinate with any of the other glass and stone pebbles in our Memorial Products range. 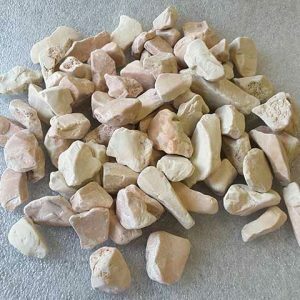 Because the colour of the marble is all natural, you can safely use these stones for water features, and their chalky colour is especially beautiful when viewed through water in an aquarium or pond. 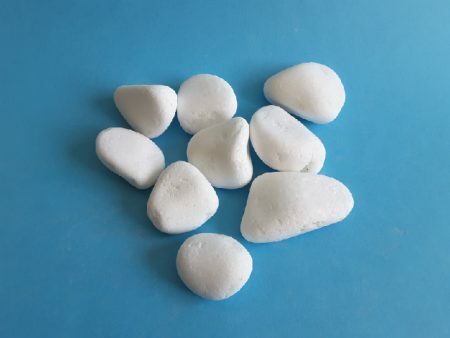 Thasos White Pebbles are offered in two different sizes. 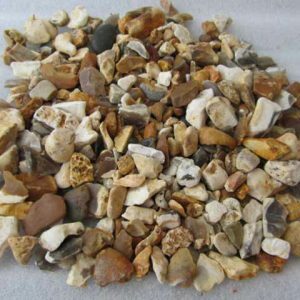 The small assortment contains pebbles that are between 10 and 20 millimetres in length, while the large assortment provides stones that measure between 20 and 40 millimetres in size. Like all of our memorial products, our Thasos White Pebbles are sold through a network of distributors located across Ireland. If you’re interested in purchasing the pebbles, please contact us to find your nearest distributor. You can get in touch with us by phone at 00353 86 385 2359 or by email at bl@midlandstone.ie.